Zip from tree to tree, like something out of Avatar. 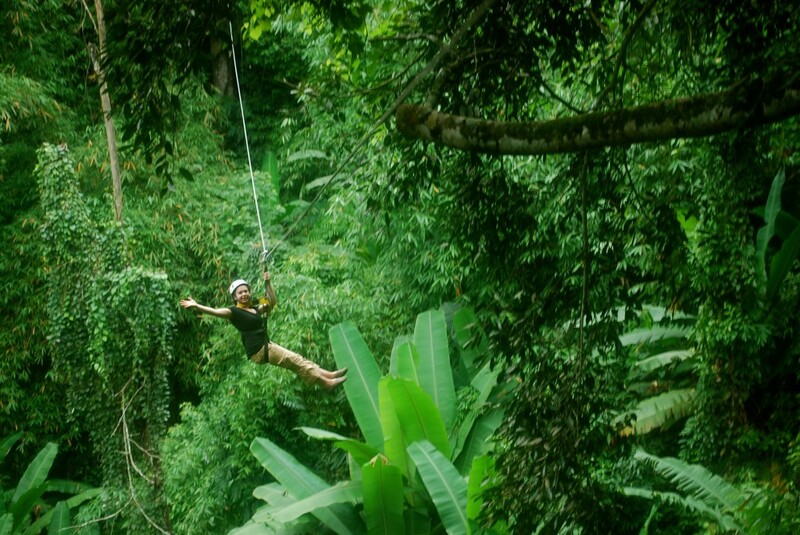 Zip Fiji offers unlimited “zips” on their lines scattered along a tropical rainforest tour. Enjoy the breathtaking views from up in the treetops. It’s an exciting, unique way to see the rainforest! Kula Eco Park is an inexpensive and eco-friendly way to explore the biodiversity of Fiji. Kids get to hold iguanas, while the more daring can get friendly with a boa constricter snake! Take a walk among the flowers, enjoy lunch in the shade of the banyan trees. The best way to promote wildlife preservation to teach people to love it! The Naihehe Caves have a history that would excite any young explorer. The caves were once used as a fortress for warring Fijian tribes! Hear stories from local guides while taking a billibilli tour to the mouth of this sacred geological wonder. 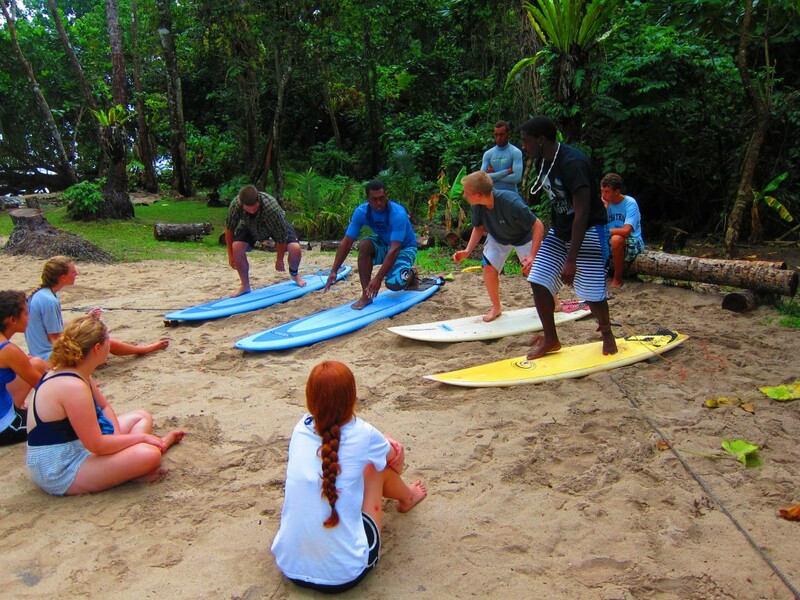 No Pacific Island vacation is complete without a little surfing. And once you get started — you won’t want to stop! Ever little surfer needs to start somewhere, though. That’s what surf school is for! It’s a fun, safe way to learn from the pros. They’ll have to hopped on a board by the end of one day — guaranteed! Littler kids love to explore, but sometimes they can’t keep up with the big kids. That’s where the choo-choo train comes in! They can sit back and enjoy the sights from a historic train route along beaches, forests and cliffs. The Coral Coast Railway is one trip they won’t soon forget. There’s so much to do in Fiji!